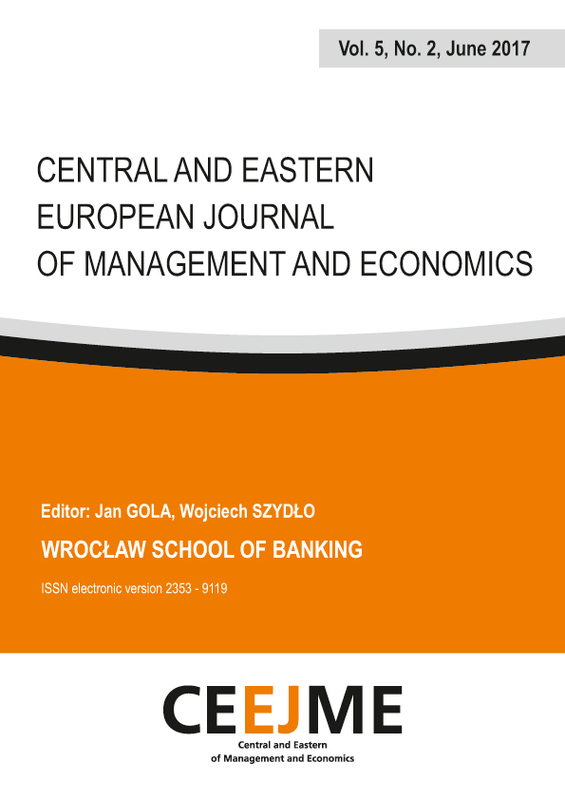 We are proud to present the Central and Eastern Journal of Management and Economics, issued by the WSB University in Wrocław, located in the city of Wrocław, the capital of the Polish Lower Silezian Voivodship. The journal will be published online, in order to create general access, and to provide authors with the opportunity to reach a wider public. The aim of the journal is to focus on empirical and innovative theoretical studies in the field of management, economics and related sciences, where inter- and trans-disciplinary approaches are highly appreciated. As the developments in Central and Eastern Europe cannot be separated from global developments, articles dealing with issues in other geographical areas are also welcomed.